Home » Monitor » Where to find important messages ( Emergencies history) ? Where to find important messages ( Emergencies history) ? 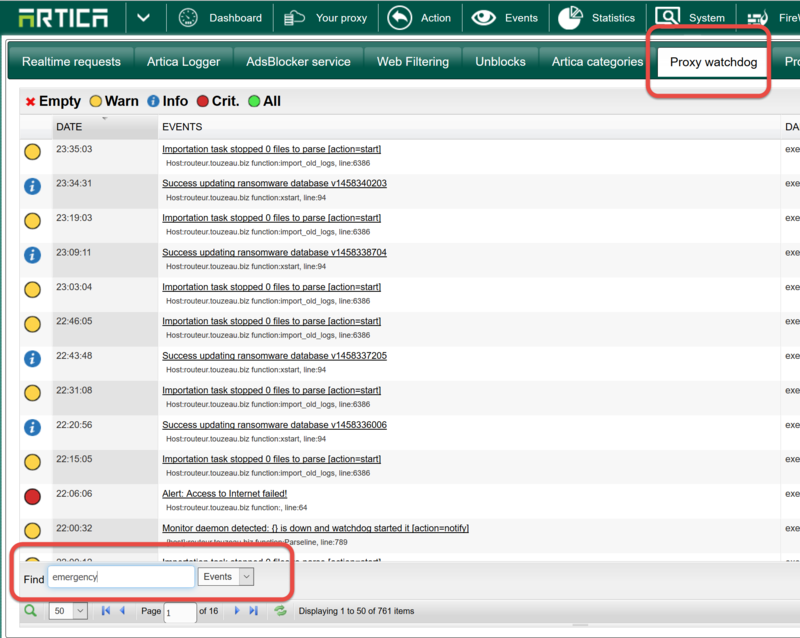 When Artica turn into emergency or find any issue on the proxy system, it save events in the Watchdog Events. On the TOP menu, click on Events button. You will find history of events detected by Artica. In the search filed at the table bottom, search the word emergency to find history of all emergencies detected.